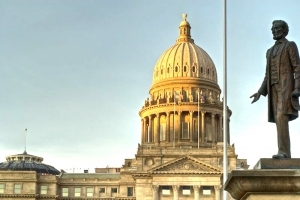 Boise (670 KBOI News) – A draft bill introduced in the House Local Government Committee would put charter schools on the same footing as public schools when it comes to impact fees. Impact fees are charged by highway and other districts to developers, to help cover the cost of building new roads and infrastructure. Public schools are exempt from paying impact fees. But Nampa Representative John Vander Woude thinks the same should go for charter schools. Vanderwoude said at this time, only one charter school has construction going on that would have to pay impact fees paid for…that’s Compass Charter School in Meridian. If the bill were to become law, it would save the school $200,000.